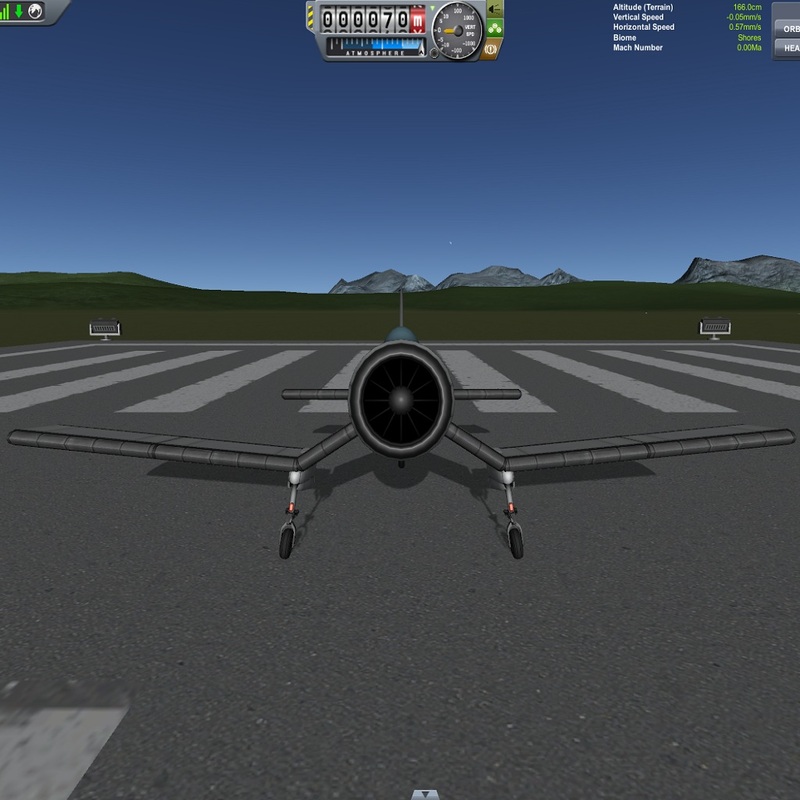 This is a replica of a piston plane with KSP stock parts. So, it is NOT a piston engine but a JET engine. I just try to make the appearance of the Corsair with a J-20 "juno" basic jet engine. I am quite happy with the global appearance. Even with the use of a jet engine, the global caracteristics and performances are similar to the real ones.